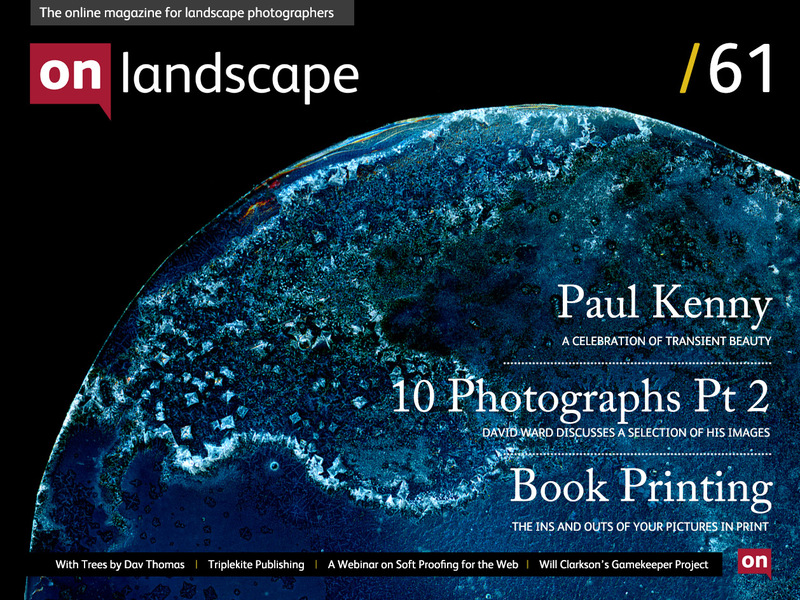 On Landscape has featured Dav Thomas as a writer and photographer a few times in the past couple of years and when we heard he was publishing a book we eagerly awaited the opportunity to review it. Well the book arrived about a week ago and it's everything we expected. This issue we not only review the book but look into some detail as to why it looks so good and also talk with Triplekite publishing, an independent book publisher for whom Dav's book is a first project. The second part to David Ward's discussion of a range of his photographs is included and at the start of the week we also undertook our first webinar - originally for 16 participants we ended up with 127 people booking and it went very well indeed with some excellent questions and feedback. We recorded the video an include both it and some expanded answers to a couple of questions. 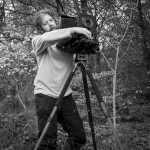 We're also proud to feature an artist who works on the edge of the definition of photography and landscape. 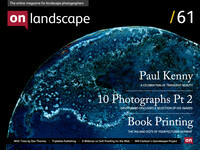 Paul Kenny uses parts of the landscape as elements of his still life creations, eventually scanning the construction to create a final photographic piece. The results are exquisite and unique prints that possibly defy classification. We have also interviewed Will Clarkson about his project about gamekeepers in Scotland, taking up the story of the much maligned protector of the landscape. Finally Marc Elliott is our regular featured photographer - some beautiful coastal landscapes. That's it for this week - I'm just about to head down to the Master's of Vision exhibition showing Joe Cornish, Dav Thomas, David Baker, Antony Spencer, Jonathan Horrocks, Pete Bridgwood, Chris Upton and Steve Watkins. If you're going, don't forget to say hello!